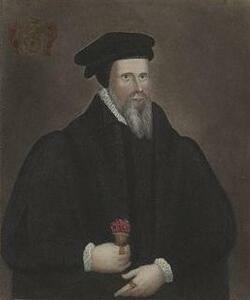 29 July 1504 – Death of Thomas Stanley, 1st Earl of Derby, husband of Lady Margaret Beaufort, and stepfather of Henry VII, at Lathom. 1509 - Birth of George Neville, he was the youngest son of Richard Neville, 5th Earl of Salisbury, and Alice Neville, 5th Countess of Salisbury. He was the brother of Richard Neville, 16th Earl of Warwick, known as the "Kingmaker." 1532- Chapuys to Charles V.
The King was going northwards to hunt, but, though great preparations had been made, he has turned back. Some say the cause is that, in two or three places that he passed through, the people urged him to take back the Queen, and the women insulted the Lady. Others say it is in consequence of a raid by the Scotch, in which a captain was killed, although their ambassadors are still in England. They arrived four days ago, and demand the restitution of Berwick and the withdrawal of the favor shown to the earl of Angus. Was told yesterday and today that the King's chief reason for discontinuing his progress was to prepare for the interview to be held at Calais on the last day of September, and that the six or eight ships which the King ordered to be equipped three days ago are for the interview, though it is reported they are going against the Scotch. Though this does not seem probable, it comes from a good source. The King kept his intentions so secret, that the treasurer Febblien (Fitzwilliam), who is a privy councillor, knew nothing of it till three days before. A man, who had not heard of the interview, told me just now that the duke of Orleans was coming here, and the duke of Richmond going to France, which would be an unequal exchange. "Ilz ont commance de laborer du roy choses qui ne sont si tost rabiliees, car elles sont bien desmarrees et caducques." The French ambassador, who expected to stay with the King all the summer, will be here tomorrow. It is said that they had some words about Scotch affairs, which he did not manage as well in France as he gave out here. The King, either hearing from Rome or expecting that the Pope will decree censures to cause him to take back the Queen and banish the Lady, has said publicly, and in great anger, that he would not allow the Pope to treat him as he had done, that the Pope had no power over him; he was resolved to celebrate this marriage in the most solemn manner possible, and the necessary preparations must be made. 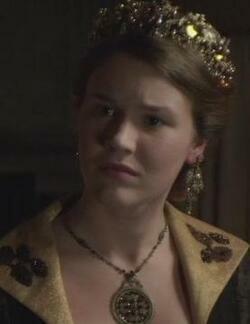 He ordered Tallebo to be sent for, as he is Great Master, and fills some other office at the Queen's coronation. No one dared say a word, and most of the Court are scandalized, fearing that the King will carry out his intention, which is incredible. Has informed the Queen, and will not fail to keep watch, and prevent it if possible. Hears from Paris that two propositions have been discussed in the Parliament, that the Pope cannot by divine right excommunicate the French king, and that no woman is capable of possessing a kingdom. 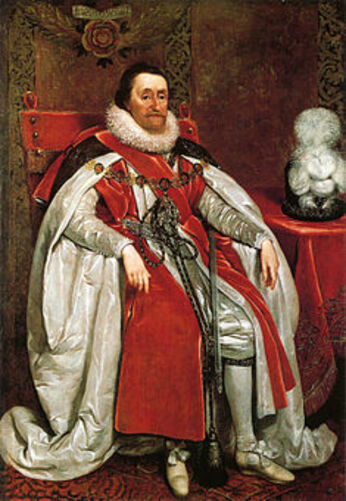 This was done at the instance of the king of England. If the Pope had interfered when they discussed his authority, they would not have taken up such quarrels. London, 29 July 1532. 1540-The Divorce from Anne of Cleves. ii. The declaration of certain their proceedings with the lady Anne of Cleves. On their presenting her letters and token, the King sent the Duke, Earl and Sir Thomas to Richmond, 17 July, to discharge the officers and servants who attended on her as Queen, and appoint and swear others to serve her as the King's sister. She took leave openly of such as departed, and welcomed those presented to her, declaring, of herself, how bound she was to the King, and that “she would be found no woman by inconstancy and mutability, though all the world should move her to the contrary, neither for mother, brother nor none other person living,” adding that she would send the King all letters she received from her brother, mother or other of her kin. The letter of 21 July recited (in English), without the date. On the 24th July, having received a letter from the Duke her brother, written in his own hand upon knowledge of this matter, she sent it to the King, who perused and returned it. The said Duke, Earl, and Sir Thomas declare that all the above is true, as they shall answer at the Day of Judgment. 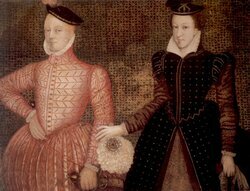 1565 - Marriage of Mary, Queen of Scots, and Henry Stuart, Lord Darnley, at Holyrood Palace. 1565-Supplication to the Queen of Scots. Recital of the progress of the Reformation in Scotland, and complaint of the erection of that idol, the Mass, at the arrival of the Queen. The petitioners exhibit certain articles of complaint against the Mass, and request that the people be compelled to resort to preaching; and that none but sound ministers and able in doctrine be permitted to instruct youth. They also ask for the sustentation of the poor; for the suppression of crime; and that order may be devised for the labourers for reasonable payment of their "teind;" and against the setting of their steadings to others over their heads. The Queen of Scots' answer to the Articles presented to her in the name of the last assembly of the Church. 1. To the first, desiring the mass to be abolished, as well in the head as members, with punishment against the contraveners, it is answered, first, that she neither will nor may leave the religion wherein she has been brought up; and she prays her subjects (seeing that she neither has nor means hereafter to press the conscience of any, but that they may worship God in such sort as they think best) that they also will not press her to offend her conscience. 2. As for establishing of the religion in the body of the realm, they know that the same cannot be done by her consent only, but she requires that of the Estates in Parliament; and therefore, so soon as the Parliament holds that thing which the Estates agree upon, she shall grant unto them. 3. To the second article, it is answered that she thinks it in nowise reasonable that she should defraud herself of so great a part of the patrimony of her crown as to put the parsonages and benefices forth of her hands. Nevertheless she is pleased that consideration be had of their necessity, and if it may be sufficient for the sustentation of the ministers, a special assignment may be made to them in places most com modious. 4. To the third article, she will do to them as shall be agreed by the Estates in Parliament. 5. To the fourth article, her liberalty towards the poor shall always be as far extended as can be reasonably required. 6. To the fifth article, she will refer the taking order, as well as that of the sixth article, to the Parliament. 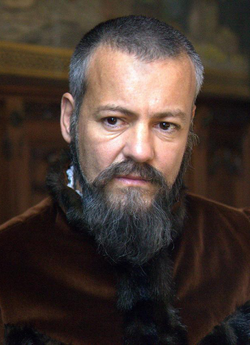 He was physician to Edward VI, Queen Mary and Queen Elizabeth. From this position he was dismissed in 1568 on account of his adherence to the Catholic Faith. He was incongruously accused both of atheism, and of keeping secretly a collection of ornaments and vestments for Catholic use. The latter were found and burned in the College court. 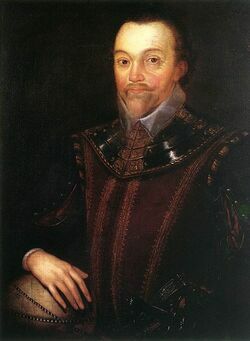 1588 – Anglo-Spanish War: Battle of Gravelines – English naval forces under the command of Lord Charles Howard and Sir Francis Drake defeat the Spanish Armada off the coast of Gravelines, France. 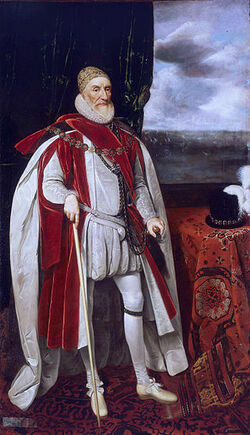 1601-Sir Henry Lee to Sir John Stanhope, Vice-Chamberlain to the Queen. By a mishap my letter came to you before the young horse it makes mention of. I sent my man into Buckinghamshire and this letter is to meet him at London. This night past I received a letter from the Council, amongst other things about provision to be made for Ostend. You write you were to use a man of credit and skill, and therefore thought good rather to employ Mr. Harvey than a merchant. If I might have had proof made of me for the armour and that belonged thereto, I doubt not to have as well gone through therewith as he that now has it. And for skill I will neither give place to him nor any other, having had the use of arms both in earnest and sport all the days of my life. Besides, there is another wrong offered me, the more for that I was not acquainted therewith, being a thing to be considered of besides that that room is in my grant by patent from her Majesty, and was likewise to my predecessors. There is a little room, joining to the green Gallery wherein was placed such armours as served the person of King Henry VIII., kept in the same place ever since his giving up of arms, as a show of the goodliness of his person and the greatness of his mind. A monument it was of both, and long time after his death showed to such strangers as came to that place. So it was continued the time of his son, of Queen Mary, and these forty and three years, and ever maintained in her Majesty's time that now is. Now to have them thrown into a corner, taken from their place of so long continuance, thrown upon heaps, and without my knowledge or what might be said therein, or her Majesty's consent, I take it a wrong to the dead and to her Majesty. How I may answer it I know not; but a danger it is like to be to me. In this place of Greenwich in no prince's time in man's memory has been any great need of a few calivers; but in Windsor there has been in the time of Edward VI., where there is not now an armour, and that a Castle and of force for any sudden attempt, the best her Majesty has, the Tower excepted. Hampton [Court] was in my time well furnished, now not anything. If the law, to defend themselves, appoints the meanest man and house to have according, how much more fit for her Majesty, and in such a house, to have what were necessary. As before time in Whitehall you may well remember the purse Queen Mary was put to in Wyat's rebellion, and in more peril for that there was not any armour there to be had, no, not for her own company or household, which was the chiefest reason the bishop of Winchester persuaded the Queen to remove to the Tower beside his force. How much that place was better provided now of later days I pray you judge; and if God had not provided better, what extremity was like to have followed to the fear and trouble of her Majesty and danger of the rest. If the supply of that place had been first taken in hand, the other where less danger has ever been might have been done at more leisure. For Greenwich what is to be hoped for, for so small a company of shot armour there is, and has been ever; her Majesty by too many former experiences having scaped, by the great favour of God, so many perils practised from abroad, and at home, and for what I can judge as much to be doubted even in these days as before, those cursed people and the malice of enemies rather multiplying than otherwise. Accept this jade, command the rest, and let me hear of her Majesty's well doing.—From Beaconsfield the 29th of July.